Which router do you really need? 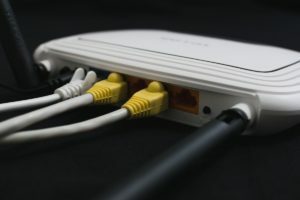 Whether you are looking to connect your personal devices, sharing the Wi-Fi access with your other family members or setting up connections in a new office, a wireless router is definitely a necessity to purchase. And here is a list of some of the best routers that you can get from each category – individual, families and office. Google has now started making in-house Wi-Fi routers and you can purchase a one for your home without keeping any doubts in mind. This standalone device offers Wi-Fi coverage up to an area of 1,500 square feet. Network Assist is one of the most innovative features that you can find in this portable Wi-Fi router; it would assist you to move from one room to another without dropping the connection. Purchasing AmpliFi HD can be considered as one of the best methods to extend wireless connectivity throughout the home. In fact, the wireless connectivity is increased by creating a mesh network. It even provides enhanced coverage to the larger homes, where the area is over 3500 square meters. Netgear R6220 is an affordable router available for family, which is marked just about $100. One of the most impressive features that can be found in this router is availability of USB 2.0 port, which can be used to connect few peripherals. A switch has been provided for parental control, where the parents can block access to the objectionable websites whenever needed. Linksys WRT1900ACS is a dual band router that can cater all the needs of families. It offers a decent coverage, along with plenty of ports, which can be used to connect external hard drives and printers. Families who purchase this router would be able to share data among each other with minimum hassle – after all, isn’t technology supposed to make life easier for us? Amped Wireless RTA2600 Athena is a high-end router, which is ideal for power users. This router can easily be customized as per the specific needs and requirements of users. The beamforming techniques that are offered by this router can make the transmission adapt perfectly well for different people. Nighthawk X8 has been provided with six different LAN ports to offer gigabit traffic for the users. It is also possible for the people to aggregate two out of six ports in order to achieve high speed data transfers. A variety of customization options are also offered from this router.